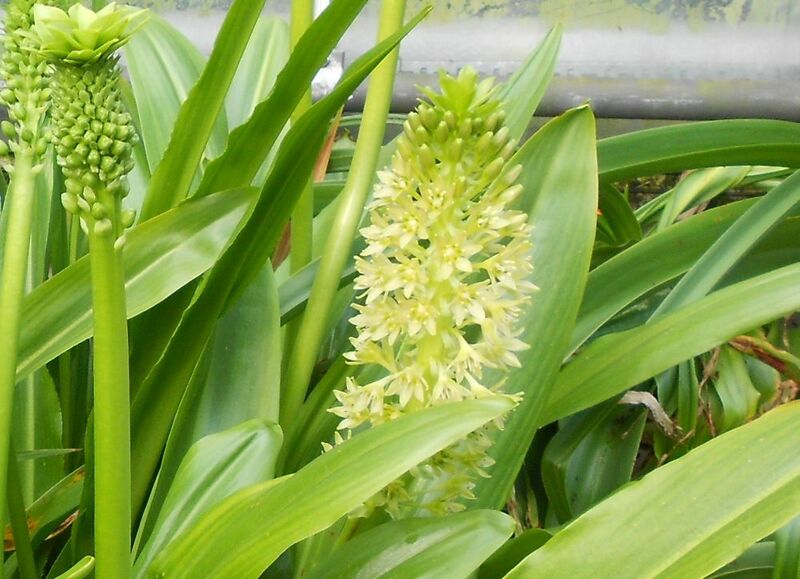 A bulb from Temperate South Africa; now growing in a sheltered situation within the confines of the glasshouse borders. 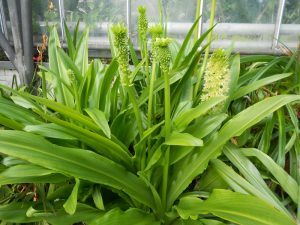 Here Eucomis comosa has clumped up well. The foliage consists of long strap like leaves, from the centre of the crown the flower spikes develop. Each spike is crowned by a distinctive head of light green bracts. Often known as the “Pineapple Plant” due to this resemblance to a Pineapple. The individual flowers amassed around the flower stalk have a sweet fragrance during warm weather nectar spills over the petal.